Looking for a great location for your next corporate event? Kiana Lodge is the perfect venue for your next special event, corporate retreat, or your company holiday party. Studies have shown that there’s a strong correlation between pleasure and learning. With six acres of no-bank waterfront property, there are endless possibilities of what you can organize to have an impact on individual employees, the team, and your organization as a whole. Team building helps employees strengthen social relations, and aids in the fortification of leadership roles. Retreats are for networking, brainstorming, and the realization of new ideas. 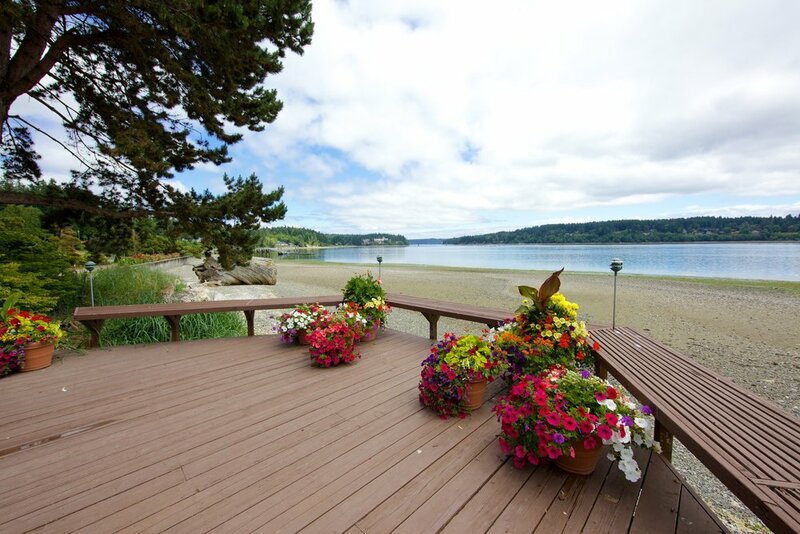 Sequester yourself among lush gardens and distract yourself with the sound of the waves hitting the beach. Throw in a fresh, local seafood lunch or dinner, and you’ll find it hard to leave. With a variety of configurations, Kiana can accommodate groups small and large for corporate events of every type. Whether you’re looking for an intimate group setting of 30, space for a grand event with up to 1,000 guests, or something in between, Kiana Lodge is ready to accommodate your needs. Contact us to book your next company event!